Are you aware that car accident rates among teen drivers in southern states rank among the highest in the country? Alarming facts like these are why Mississippi has started a graduated driver licensing (GDL) program where teen drivers must reach certain age- and experience-related milestone before they can get an unrestricted driver's license. One of the first steps on your path to your Mississippi driver's license is to obtain your learner's permit. 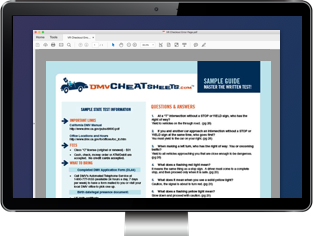 Below you will find everything you need to know, including information about Driver's Ed and how to pass your written test on your first try with the help of an online practice test. You may also contact the Mississippi Department of Public Safety (DPS) at (601) 987-1212. If you're new to Mississippi, be aware that the state does not transfer out-of-state learner's permits. If you have one from your previous state, you'll need to complete all the steps of the GDL program mentioned below. Learner's permits must be applied for and acquired at a Department of Public Safety office. To save some time, it's a good idea to make an appointment. The DPS has created different requirements for obtaining a learner's permit depending on your age. In Mississippi there are three types of learner's permits. In order to get a limited learner's permit, you must be 14 years old and provide proof that you are enrolled in a Driver's Ed program administered by your school. NOTE: The permit you can apply for at 14 years old is only valid in the driver's education vehicle with your driver's education instructor. Once you turn 15 years old, you must apply for a different permit (see below). A completed Application For Mississippi Driver's License (Form DL-4) from the Department of Public Safety. The application needs to be signed by both parents and notarized. A Social Security card or printout from the Social Security Administration. (Metal cards are not acceptable). An original or certified birth certificate. A signed Certification Of School Attendance Status from the school that you are attending (must be less than 30 days old). 2 documents giving proof of Mississippi residency in your parent or legal guardian's name. Payment for the $7 permit fee. To obtain this learner's permit, you must be at least 15 years old, and show proof that you are enrolled in a Driver's Education course provided by your school, in addition to the documents mentioned below. NOTE: When you turn 17 years old, you will need to follow different application requirements (please see “Learner's Permit – Age 17 and Older" below). A completed Application For Mississippi Driver's License (Form DL-41). A Social Security card or printout from the Social Security Administration (metal cards are not acceptable). An original or certified U.S. birth certificate. 2 documents showing proof of your parent or legal guardian's MS residency. You must hold your Mississippi learner's permit for 12 months before you may apply for an intermediate driver's license. If you're 17 years old but under 18 years old, you're required to submit a different application form, and you must show proof that you are enrolled in a Driver's Education course at your school. A completed Application For Mississippi Driver's License (Form DL-41) (for applicants 17 years old). Original or certified birth certificate. A signed Certification Of School Attendance Status from the school that you are attending (may not be dated over 30 days old). 2 proofs of Mississippi residency in your parent or legal guardian's name if you're younger than 21 years old. Drivers 17 years old and older are exempt from the learner's permit holding period, as well as the intermediate driver's license requirement (see our page on Teen Licensing in Mississippi for more information). Note, however, that if you are under 18 years old and you do not have a high school diploma or GED, you will not be able to get a license until you turn 18 years old. The written permit test is based on information about Mississippi traffic laws, road signs and safe driving techniques discussed in the Mississippi Driver's Manual. In addition to taking and passing the permit test, you will also be required to pass a vision test. If you want to prepare for the written exam, the DPS has an app for that. In addition, we suggest preparing with an online practice test offered by approved partner. These tests are designed for your success. With your learner's permit, you'll be required to complete the 6 hours of dual driving instruction that is part of your driver education course. You may also be required to complete additional behind-the-wheel practice hours, as instructed by your course director. You can contact the Department of Public Safety at (601) 987-1212 for more information on behind-the-wheel driving requirements with your learner's permit in order to obtain a driver's license. If you need to renew or replace your learner's permit, you'll need to appear at a DPS office and bring the documents that you submitted mentioned above. For more information on replacing your learner's permit, please refer to our Replacing a Lost License in MS page. With a learner's permit in your possession, you're finally ready to experience life in the driver's seat. It's important that you use extreme caution and that you are conscious of your surroundings at all times. The next step in the Mississippi GDL process is to get your intermediate driver's license. For more information, please refer to our MS Teen Driver's License page.